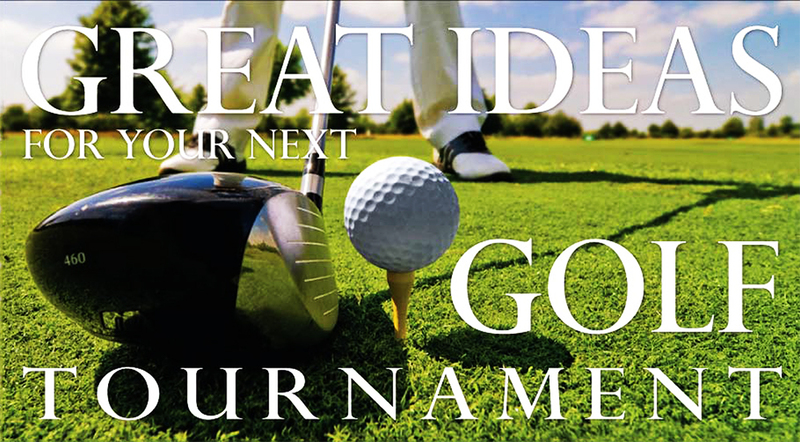 We provide everything you need in the way of golf related promotional products and specialty printing to make your outing better than par. We have over 25 years of industry experience and have worked with and participated in hundreds of Golf events over the years. What sets us apart? We OUTWORK our competition. We put extra effort into identifying your needs and objectives and coming up with UNIQUE ideas for prizes, gifts and remembrances of the event. We believe that communication is vital to the success of any project and we are committed to communicating with the client every step of the way leading up to the tournament. We will share some valuable tips that have been implemented successfully so that the participants leave the venue happy and excited. On this website you will have multiple opportunities to shop for products. These search vehicles are intended to provide you with IDEAS- ideas that can be further cultivated by brainstorming with you the client. 90% of the products we provide are CUSTOM produced to your specifications and graphics. Working with you on developing those ideas into exciting end products is right "in our wheelhouse".